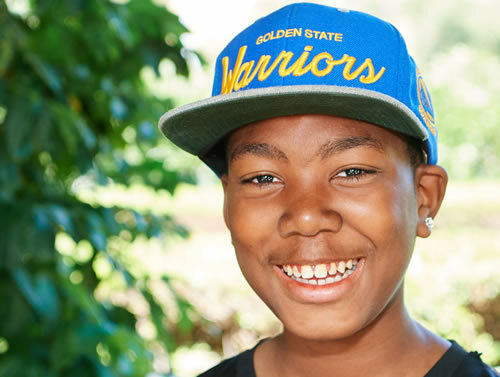 Tall for his age and naturally athletic, Curtis, 14, could be your future MVP. He can be initially shy, but with patience and a little humor mixed in, Curtis did finally share his all-star smile with us. A handsome face, framed by large dimples, this young man can tug at your heart strings with just one smile. He has been patiently waiting for his forever family and as he gets older he has become less optimistic that someday he will live with his very own family.